When Abhinav Bindra won his historic gold medal at the 2008 Beijing Olympics, he inspired a teenage girl in Jaipur to pursue a career in professional shooting. 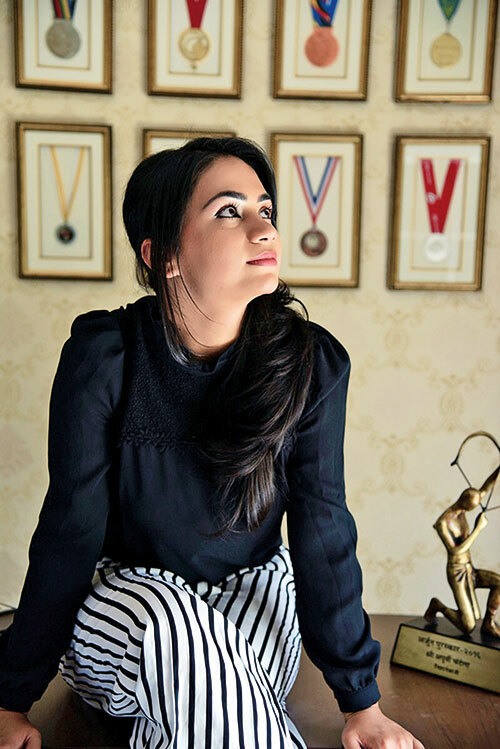 A subsequent gold at the National Shooting Championship in New Delhi in 2012 gave Apurvi Chandela the boost she needed to go full-steam into the sport, and she has been an unstoppable force since. Her pursuit of glory saw the driven shooter fortify her berth at the 2016 Rio Olympics after a string of consistent wins. Shooting has a lot to do with focus. You need to have nerves of steel to be stable in high-pressure situations and train your mind to steer clear of all distractions. I practise yoga and meditation, both of which have helped me maintain my composure during tense moments. I try to stay neutral during both winning and losing. It’s a game at the end of the day, and all I do is try to give my best on that given day and hope that my best is enough. I cannot deny the fact that it does take a lot of strength from within to fight it out and remind myself why I’m doing this…that this is the sport that gives me happiness, so I need to pull myself together and keep moving forward. I love to travel, and luckily, shooting necessitates a lot of that. I like to read and am also an animal lover. I have three dogs at home, so playing with them is my way of unwinding after a long day of practice. Well, 2018 is an important year as we have the Commonwealth Games, Asian Games and the ISSF World Championship. I’m also keen on participating in the mixed team events that have been recently introduced by the ISSF. My father once told me that ‘the things you take for granted, someone else is praying for; so value what you have, always stay humble and remember that there is no substitute for hard work’.